After 173 days Fluffy leads the herd back into the meadow. 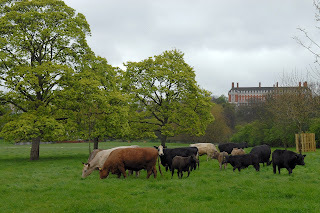 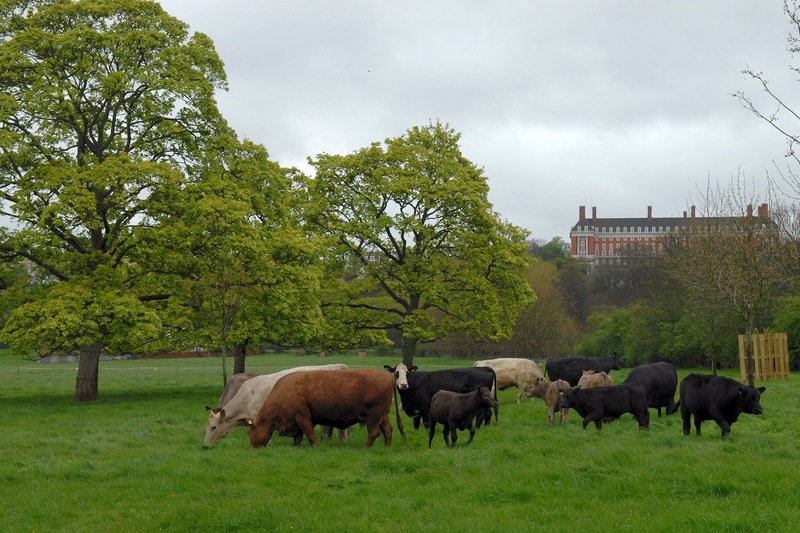 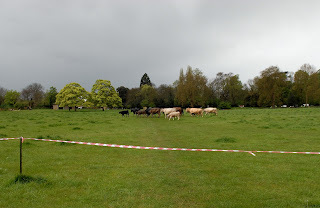 On a very wet morning, after much uncertainty as to their future on the Petersham Meadows, the herd of nine cows and their new calves returned today. 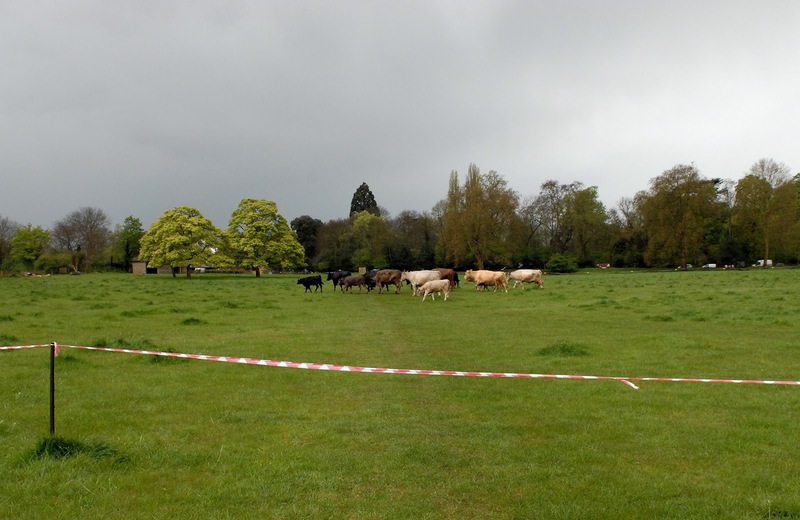 Petersham is currently considered a drought zone, as less than 60 mm of rain fell in the first three months of the year. 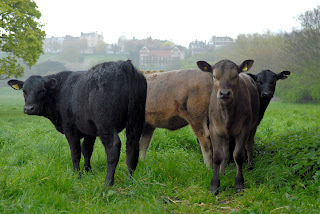 April showers have helped the pasture which is now looking fresh and the cows were grazing it within minutes of arriving. The National Trust has made changes for 2012. 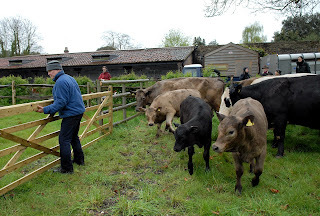 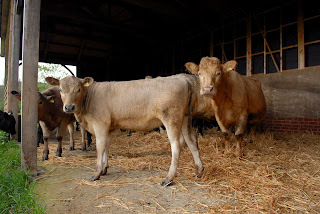 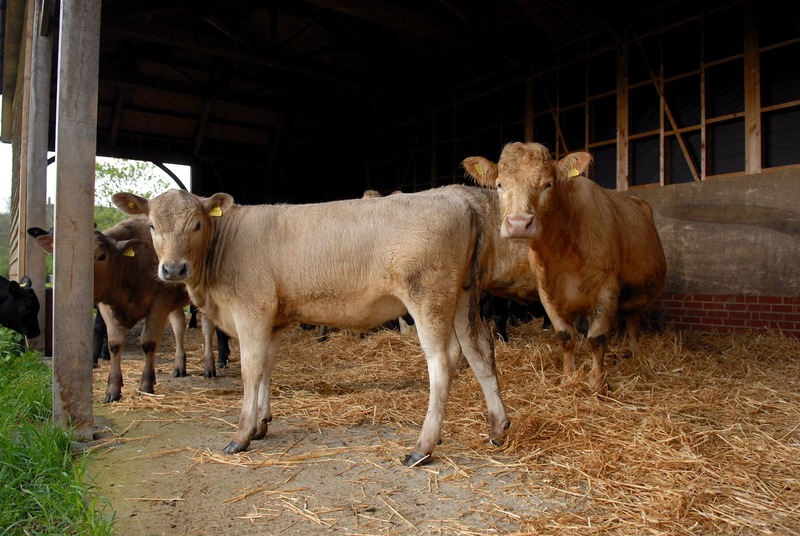 Firstly, the cows will be kept permanently behind an electric fence. 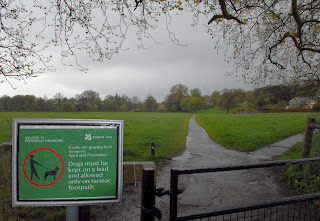 This blocks two paths across the meadows which have been in use for many decades. 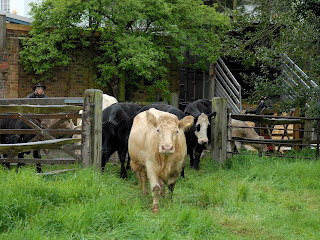 Even when farmer Hastings had Hornby the bull back in the 1990’s people crossed without incident. 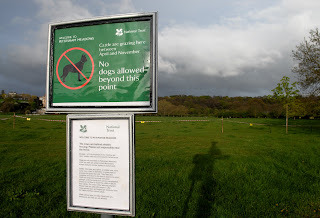 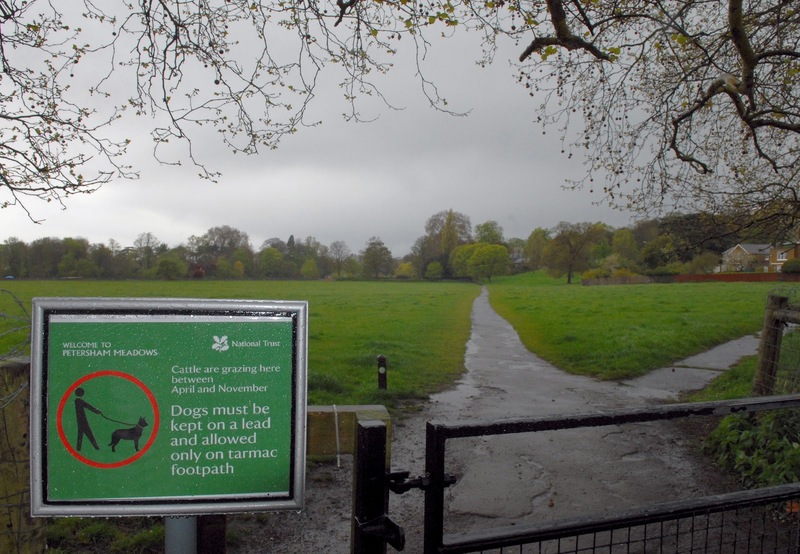 Another change is the restriction on dogs; at the western end no dogs are allowed and to the eastern end they are confined to the tarmacked footpaths and must be on a short lead.